The Amity/North Haven/Cheshire (Blades) hosted the West Haven/Sacred Heart (Blue Devils) at the Rinks at Shelton on Saturday, Jan. 13. Both teams played fast and hard for the first 15 minutes. Both goalies also worked hard and no one was able to score. The Blue Devils were first to score at 10:56 with Celina Condon’s goal, assisted by Brooke McNabola. Spectators were on the edge of their seats as the Blades hammered West Haven’s goalie with shot after shot and finally at 6:46, Tess Csejka tied the score on an assist from Cally Dixon. The 8-minute overtime period was do or die for these competitive young ladies. Fast and furious skating with equal possession time, and then, with just 2:06 remaining on the clock, Taylor Nowak scored the winning goal for the Blue Devils on an assist from Jenna Hunt. 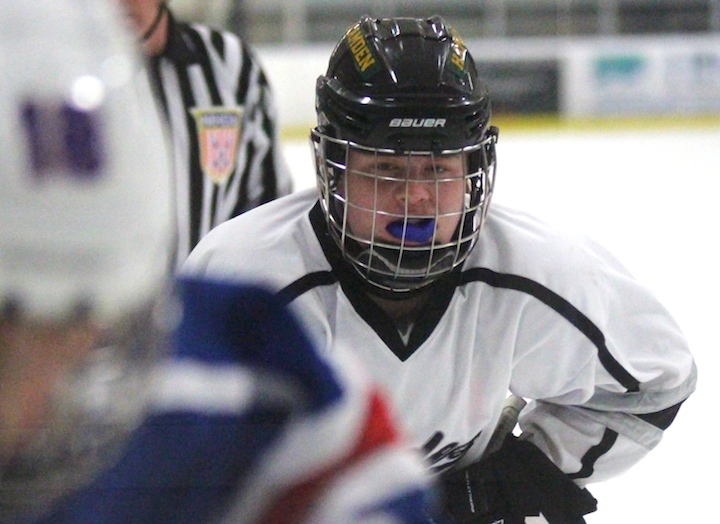 Note: The two teams will face up again on Sunday, Jan. 21 at the Edward Bennett Rink in West Haven at 8 p.m. But first, the Blades will host the Hall/Conard Warchiefs (5-3-2) of West Hartford on Saturday, Jan. 20 at the Rinks at Shelton at 9 p.m.
Amity Fall Sports is up and running and most teams are having a good season. Following is this week’s Varsity sports schedule (Home Games are bolded). Twelve teams participated in the 2015 Southern Connecticut Conference Unified Soccer Tournament on Wednesday, October 14 at Amity. Unified Sports® is a registered program of Special Olympics that combines athletes with and without intellectual disability on sports teams for training and competition. Student athletes came from these participating schools: Amity Regional, West Haven, Daniel Hand, Branford, East Haven, Jonathan Law, Guilford, Cheshire, North Haven, Hamden, Wilbur Cross, Hamden and Foran. Following the event, participants celebrated with a pizza party and awards ceremony where SCC medals were given to each athlete. 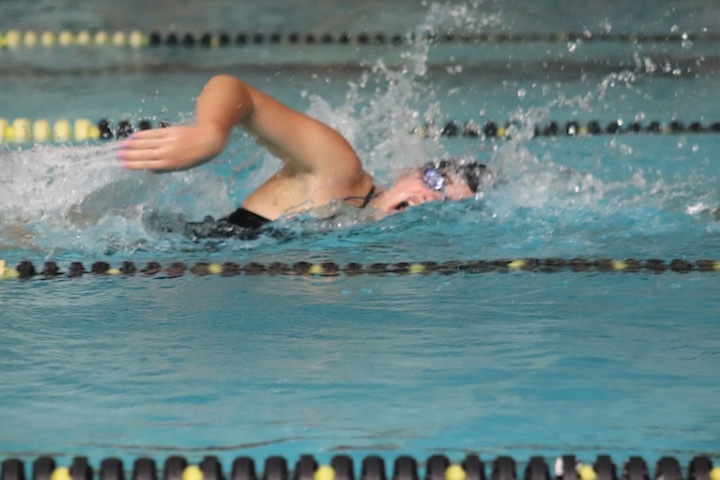 Girls Swimming: Did Amity Splash Past Wethersfield on Monday? Amity High School, Around Town, Home, Latest News, School News, Sports Comments Off on Girls Swimming: Did Amity Splash Past Wethersfield on Monday? 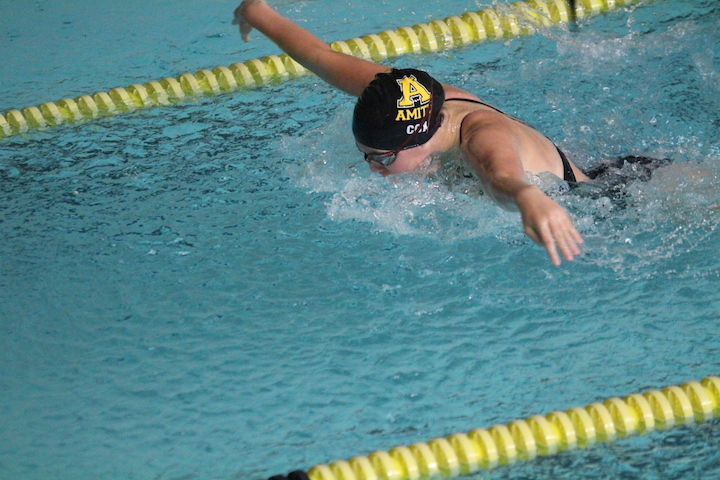 The Amity Swim and Dive Team was on the road in Branford for a meet against Wethersfield on Monday, Oct. 12. In true Lady Spartan fashion our girls climbed out of the pool victorious with a score of 97-89. 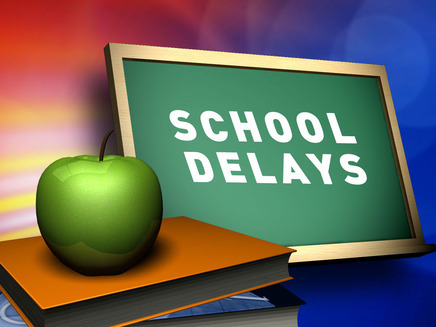 Both Amity and Orange Schools are on a 2 hour delay schedule today, Monday, March 2. 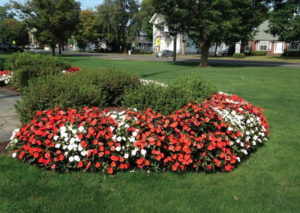 The Jeremy Saxe Memorial Amity Boys Soccer Alumni game will be played Saturday, August 30, at 11 a.m. on the Amity High School soccer field, with a rain date of Monday, September 1, Labor Day. Participating Alumni are asked to donate $20 to play, which will include a commemorative game shirt. A portion of the donations will be going to the Jeremy Saxe Scholarship Fund. We will also be accepting additional donations for the scholarship. Please confirm your attendance by August 16 by contacting Coach Marchitto at coachmike008@gmail.com. JIWANKO SAATHIHARU: Jeremy Saxe Foundation for Education and Development, Inc. has been founded in memory of Jeremy Saxe who died suddenly in his sleep on September 4, 2008. Jeremy had recently returned from four months in Nepal and an internship in Washington, D.C. Jeremy was attending his senior year as a philosophy major at Lafayette College where he maintained a 3.84 overall GPA. Jeremy was in the process of applying for a post-graduate Fulbright Scholarship to continue his studies in Nepal. Jeremy was profoundly moved by his experiences in Nepal. He was very distressed about the poor educational opportunities of the Nepali children and was particularly torn up about the school that his homestay “sister,” Manisha, attended in Pharping, Nepal. It disturbed Jeremy that she would never reach her goal of becoming a nurse if her formative education continued to consist of a minimal curriculum which at best taught rote memorization of facts for tests. Jeremy is known to his Nepali homestay family by his Nepali name, Jiwan, which means “Life”. Jiwan wanted the children of Pharping, including Manisha, and brother, Ashish, to receive a proper education. The foundation intends to fulfill Jiwan’s mission by providing educational opportunities for these children by creating a better Nepali school. The foundation also intends to honor Jeremy’s memory by awarding educational scholarships to under-privileged children. Jiwanko Saathiharu means “Friends of Jeremy” in Nepali. By working together, we can all be Friends of Jeremy and make a difference in the lives of many children in need. 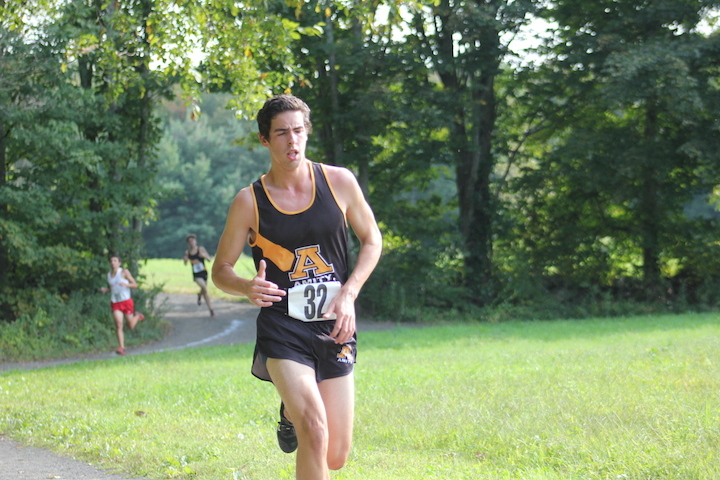 Athletes from Amity, Hamden and Shelton competed in Woodbridge on Tuesday. 300 Hurdles: Wesley Kocurek (S), 41.39. By now, everyone knows that the Amity Boys Varsity Basketball team won the Candy Cane Classic in Oxford and the Spartans’ Sebastian DiMauro was named the tournament MVP, and David Ryan was named to the All Tournament Team. We are just as proud of our Lady Spartans who put Amity on the map as the tournament champs of the girls’ Candy Cane Classic in Ansonia. Our Molly Ronan was named tournament MVP and Chloe Brinton was named to the All tournament Team. Ronan scored 9 points for Amity, but Brinton shot the game high of 23 points. Also scoring for the Lady Spartans were Janae Graham, Elise Graham, Mikaila Schmitt, Ashley Wu, and Janaya Young. Brinton shot four 3-pointers and Graham made one 3-point goal. Amity’s season record is 5-1. Ladies and Gentlemen, When at Amity sporting events, please act like ladies and gentlemen. At Wednesday’s Boys Varsity Soccer Game against Foran, a fan from the visiting team became excessively loud and verbally abusive toward one of the referees. Amity Athletic Director Paul Mengold approached the man and asked him to leave the school grounds. (His behavior wasn’t setting a good example for anyone). When the man stepped out into the parking lot he stood by the fence, but did not leave, police were called and requested that he vacate the grounds. Good sportsmanship, it’s not just for athletes. Good behavior goes a long way, no matter how old you are. A couple of weeks ago we watched in disbelief as a visiting team displayed total disrespect for one of our teams. Amity stresses good sportsmanship and from today’s incident our school is not afraid to ensure that everyone behaves properly at our sporting events.